Church leaders, politicians, civil servants and university lecturers from across Nigeria came together for Grace & Light’s second annual leadership conference on social righteousness. 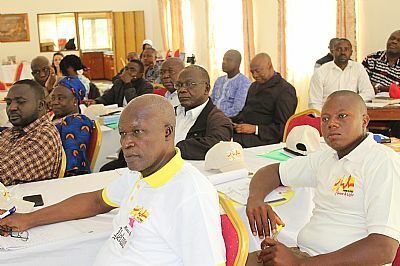 Fifty-one civil and religious leaders attended our three-day conference in Jos in mid-September; over half had also attended our first leadership conference in 2017. This year’s theme was Righteousness Flowing Like a River, based on the lament and call to repentance in Amos 5. Amos speaks out against those who oppress the innocent, take bribes and deprive the poor of justice. “Many people in Nigeria believe we are doomed and can’t change. That Nigeria is going down the drain with corruption. We believe change is possible and that it starts with our leaders being willing to change,” said conference organiser Tassie Ghata. The conference was fully interactive with delegates discussing the issues they face at work and in their churches as well as sharing their personal experiences and hopes for the future. 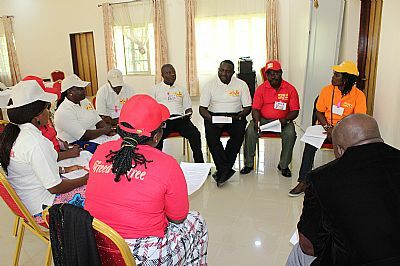 In the final feedback session they asked for ongoing support from Grace & Light as they seek to practice the commitments they made during the conference and hold each other accountable. Through a What’s App group, named the Salt Network, they are now able to talk to and encourage each other, share issues and ask questions. Additionally, some of the church leaders will be organising social righteousness conferences for the congregations in their regions, which Grace & Light will facilitate.